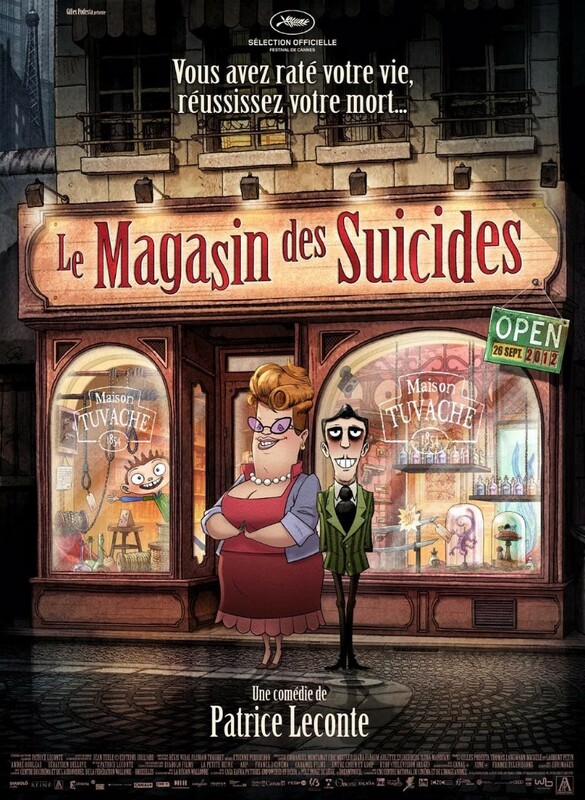 The Suicide Shop (Le Magasin des suicides) is a 2012 French animated film based on Jean Teule’s novel of the same name. The film centres on a child born into a proprietarial family that runs a shop that sells suicide adjuncts. The font used for the film title in the poster is Birch. Birch was designed in 1990 by Kim Buker Chansler, who based the forms on a woodtype, a style made famous by its use on wanted posters in western movies. The narrow and relatively high-x-height serif is perfect for headlines in display point sizes. In addition to The Suicide Shop, Birch typeface is also used in the following logos, movie posters or album covers etc., including: Young Miss Holmes, Let the Ocean Take Me, At Long Last ASAP, Scarface, Dark Canyon.